Size: Mini 14" 25 lbs. 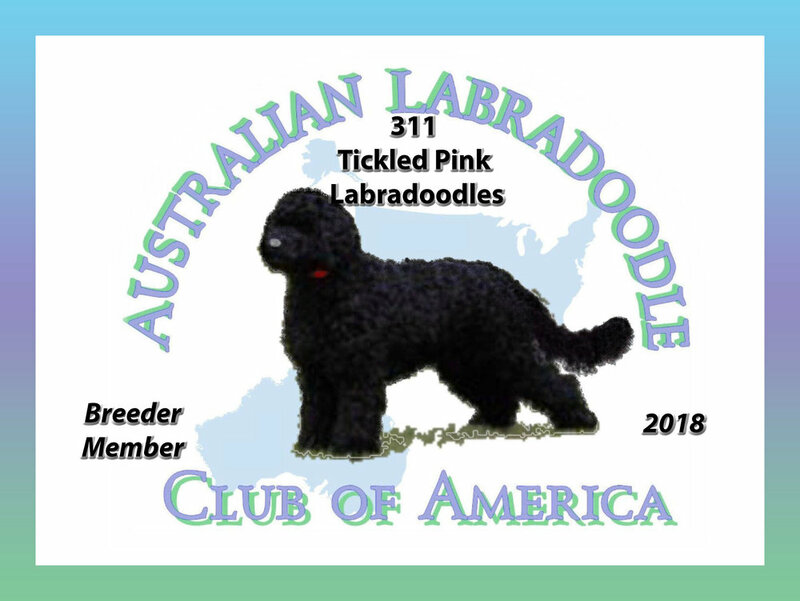 Maggie is our first Australian Labradoodle and the foundation to our future breeding program. We couldn't have picked a better cornerstone to Tickled Pink Labradoodles. Not only does she have superb intelligence and the most loving temperament I have seen, she comes from bloodlines that service/therapy dogs on both sides of her gene pool. She has a beautiful wavy fleece coat and beautiful effortless gait. We are so excited to see what her future offspring can accomplish, and just as excited to have her in our family!